What does Camberley Rotaract do? 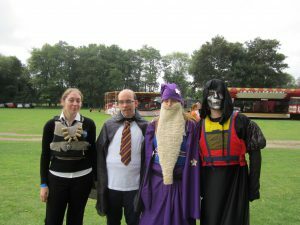 The emphasis of everything at Camberley Rotaract is on fun. No matter what your sporting level, ability or if you’ve never done any community work before don’t worry – there is something to suit everybody and at Camberley Rotaract you’ll find like-minded people. 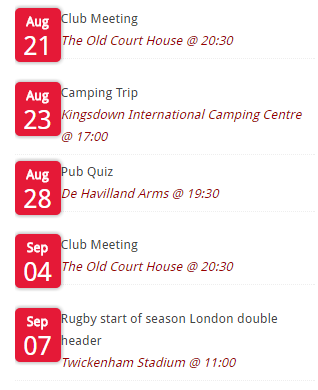 Camberley Rotaract has a lively and widely varied sports and social activities calendar with events organised by our members for our members. The activities enable you to make new friends and discover your talents. We undertake community projects which are group-orientated and encourage team work in a socialatmosphere. We organise many annual and regular events such as: local conservation projects, producing the talking newspaper for the blind, and marshalling at charity events such as: Donkey Derby and the Fleet Half Marathon. Fundraising – is fun with Camberley Rotaract. Each year we select different local and international charities to support and organise events such as: barn dances, race nights, raffles and stalls at local fairs. Event Marshalling Fancy Dress Games Nights Go Ape! Wine Tasting … and many more!